One thing that keeps on impressing me about Palestine is its endless local variety, its heterogeneity. You can be in one village in the West Bank and hear people making jokes about the particular accent of the neighbouring village, which is not even a kilometre away. As someone whose Arabic is far from being perfect I may not hear the fine distinctions, to the locals the difference is completely obvious. The notion of local accent or dialect should not be reduced to language, but can, in a figurative sense, be extended to lots of other cultural practices. A woman's traditional dress for instance speaks its very own language; the manifold stitches are telling the woman's story, and even reach some generations back as it is sewn and embroidered knowledge, experience and history, handed down to the woman from her mother. 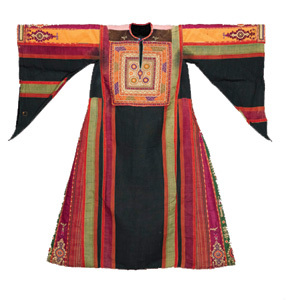 The unaware observer may just see a long flowing robe, embroidered with cross-stitch motifs on the chest panel, the lower back, and the sides and sleeves. To the attentive observer the choice of fabric, colour, cut and specific embroidery motifs communicate the woman's story, her economic and marital status, as well as her town or village of origin. 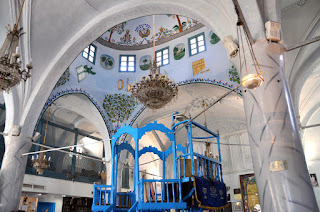 Each town, each village has its own general pattern, style and motif, the Bethlehem star becomes a moon in Ramallah, a rose in Gaza and an orange blossom or orange tree branches in Jaffa. 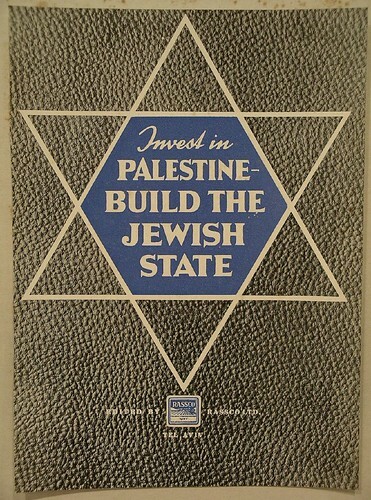 But the story of the costume extends even beyond Palestine. Being situated in the midst of the western and eastern hemisphere, Palestine has always been a meeting place for many cultures and civilisations, which in turn have left their marks on many aspects of the local cultures. 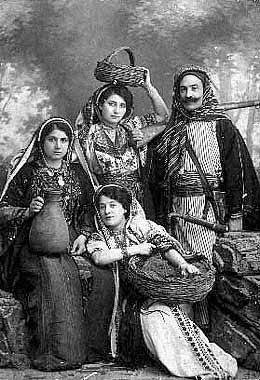 Tracing back the particular and constantly evolving language of the variety of Palestinian costumes provides us also with a glimpse at the rich history of this place. The approximately 500 years of Ottoman rule are manifested in the incorporation of Turkish designs and motifs, as well as in the introduction of the metallic silver thread, typical of Turkish and Greek embroidery. The style of the costumes during that time further mirror the administrative division of the country. While the dresses from for instance the Galilee, which was administered from Damascus, bear resemblance to the southern Syrian dress, the costumes from the south reflect the temporary proximity of the region to the Sinai. At the same time, the relative austerity that accompanied the Ottoman administration also characterises the scantier embroidery during this period. Towards the end of the 19th century the West took more and more interest in the region and foreigners, such as missionaries and diplomats, flooded the country. In the newly opened schools and vocational centres that were run by religious orders, nuns introduced western-type embroidery, referred to as "nuns' stitches" by the local women. Obviously the arrival of the first sewing machines, of pattern books of different designs and stitches, as well as the introduction of new textiles, such as velvet, enriched the variety of styles and motifs. In Bethlehem in particular, which has always been one of the focal points for the Palestinian fashion industry, the inflow of visitors, both tourists and pilgrims, from all over the world inspired the local craftswomen to open shops for the foreign customers and provided them with business contacts directly with the West. With the British Mandate over Palestine relative prosperity returned to the region and was again reflected in the richness of the costumes. At the same time the period was marked by political unrest and, in response to the growing threat of the Zionist movement, the emergence of Palestinian nationalism. The perceived need to express their particular Palestinian identity led to a replacement of the by the time very common Western-style dress with more local and traditional couture. Palestinian men for instance would return to wear the village headwear, the keffiyeh, instead of European hats or the Turkish fez which had been all the rage up until then. The aftermath of the foundation of the State of Israel, enabled by the expulsion of approximately 700,000 Palestinians from their lands, was characterised by very harsh living conditions. Women started selling their precious and beautiful costumes in order to provide food for their families and the hand-embroidered, cross-stitched, traditional dresses started to be replaced by less expensive, machine-embroidered ones. And yet, the language of the Palestinian costume could not be muted and after a decade of relative recovery, the practice continued to thrive and evolve. Especially in the manifold refugee camps new patterns marked by the new living conditions emerged. Embroidery, just like many other cultural practices, started to become an assertion of Palestinian culture and identity, resilient to the occupation of the land. As such the language of the costumes, the motifs, as well as the colours, became increasingly politicised. For instance, prior to the First Intifada in 1987, the use of the Palestinian colours red, green, black and white could lead to unwelcome attention by the occupation forces and its increased usage in embroidery thus became a demonstration of dissent. The politicisation of the Palestinian community as a whole soon led to the perceived need to maintain and preserve traditional cultural practices and more and more embroidery centres in refugee camps and villages were opened by Arab women's organisations, cooperatives and UNRWA. Up until today those centres provide local women both with an income generating activity, as well as with the means to stick to and develop their cultural heritage. The fact that traditional Palestinian couture is not a remnant of the past is probably best manifested by the high-end fashion brand Palestyle. Set up in 2009, Palestyle does not only preserve Palestinian heritage and develop it into on-trend fashion statements, it also raises awareness to the Palestinian condition, pays tribute to the expertise of Palestinian refugee women and provides them with an income.